Obviously, a fish hooked in the lip is going to be better off than one hooked in the gullet or gills. Itâ€™s easy to remove the hook from a fishâ€™s lip without doing major damage, but itâ€™s not so easy when the fish is gut hooked. For gill- or gut-hooked fish, simply cut off as much of the hook as possible and release the fish. Never try to pull on the line to free the hook, because this can cause severe damage. Most of the muskellunge caught in Detroit-area waters each year are taken by trollers pulling 10- to 18-inch lures through Lake St. Clair. 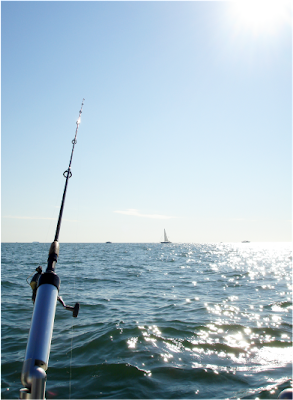 When a fish hits, it usually either hooks itself or gets off before anyone picks up the rod. Many anglers have now turned their attention to hunting, according to the Michigan Department of Natural Resources. Most people who catch a 45-pound muskellunge are delighted to tell you about it. If they caught two in a week, they'd be crowing from the rooftops. Michigan's most dedicated -- not to mention obsessive -- muskie angler would rather let the furor die down. That way he can resume fishing anonymously for the species that haunts his days and his dreams from ice out to freeze up. OK, you're not a deer hunter, and you'd still like to get away to the outdoors -- without having people ask, "Did you get your buck yet?" Well, pick up that fishing rod. Several Michigan streams are enjoying excellent steelhead runs, and one even has at least four species of fresh-run salmon still spawning in its waters. Ohioâ€™s fish managers are paying close attention to two valuable fisheries with high hopes of preserving and improving the angling fun. Recent news releases from Ohio Department of Natural Resourcesâ€™ Division of Wildlife report the state is studying Pymatuning Lakeâ€™s walleye and Lake Erieâ€™s steelhead populations. The rod tips were nodding softly in the rod-holders as the small outboard motor pushed the14-foot boat slowly across the mouth of the Manistee River where it empties into Manistee Lake. The water was 10 feet deep, an ideal depth for our lures to be. Grand River anglers: Where's the salmon run? Jeromy Butts, of Belmont, showed up at the Sixth Street fish ladder at lunch hour last week, hoping to show his daughter Syndey the big salmon that run up river in the fall, they saw one fairly quickly. An unprecedented international rescue mission is building a $250,000 lake sturgeon-spawning reef on the bottom of the Detroit River near Fighting Island.